PropAcademy is an accredited ServicesSETA supplier of the NQF 4 Real Estate qualification. The course design is simple and to the point so that you can easily follow it in face-to-face learning events and online as an added resource. It comes with learner guides, videos, webinars and brilliant facilitation – we believe that your success is our success and we are determined to ensure that you succeed within the qualification time restraints. The good news is you can complete your Real Estate NQF 4 qualification by registering and enrolling today! Services SETA (SSETA) governs, controls and monitors education standards. Our real estate industry falls under SSETA Trade and Industry. It is legislated that in order to be a full status real estate agent, you must be found competent in the outcomes based NQF Level 4 Real Estate. This qualification has 150 credits, which equates to 1 500 notional hours (study hours needed to complete the course). SSETA require 30% of the time spent studying to be in the classroom and the rest open book, on your own. PropAcademy will hold workshops and webinars that you must attend in order to adhere to SSETA standards. The NQF 4 course is not daunting. We’ve designed it so that you can easily complete the qualification at your own pace within the allocated time. 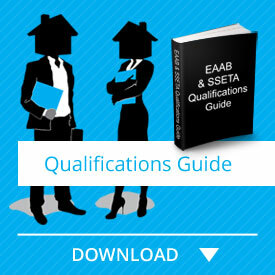 You will be required to download and print the Portfolio Guides (questions) as they form your Portfolio of Evidence (PoE).The questions are easy to understand and you will be supplied with ample learning material, as well as the learning material supplied by the Estate Agents Affairs Board (EAAB). Rest assured PropAcademy is here to help you every step of the way. We’ll guide you and catch you if you start to fall… you can have peace of mind knowing that with us, you are in good hands. To qualify for Recognition of Prior Learning (RPL) in this qualification you must have held a FFC preferably for the past 3 years but not less than 2 years, and be able to perform the required outcomes of the full course. To see more, please access our NQF4 RPL course and follow the prompts. Once you have finished your NQF 4 PoE and have been found competent by us, SSETA will be contacted to visit our office and moderate your file, or a group of files. This is a lengthy exercise but at PropAcademy our aim is to obtain your SSETA Certificate of Competency for you in record time. This certificate is endorsed by the South African Qualification Association (SAQA). You will then be in a position to book your PDE 4 exam with the EAAB. We offer a course prior to this exam to help refresh your knowledge so that you, once again, have the ability and confidence to sail over this hurdle and become a fully fledged real estate agent. Real estate is exciting and interesting to learn, so click the “Take this Course” button below to purchase this Real Estate NQF 4 course today! Orientation Guide – PropAcademy will ensure that you understand the requirements of the course before getting started. The Orientation Guide is easy to follow with pre-recorded webinars that you can access on your profile at any time, making study time more convenient. Our friendly staff are also available should you feel the need to have a one on one. This guide must be printed, completed and filed in your PoE. Learner Guides – each Learning Unit supplies you with a Learner Guide which is a combination of learning material and an activity workbook. These can be downloaded and printed, or studied on your computer or other device. 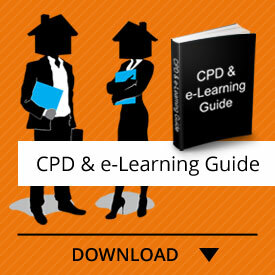 Over and above this you must order the regulated NQF4 learning material from the EAAB. Please order this well in advance, and if you require assistance let us know. Portfolio Guides – once again each Learning Unit has a Portfolio Guide containing your questions. These must be printed so that you can file them in your PoE once completed.